After your successful kidney transplant, compared to being on dialysis you will have a lot more freedom with your diet. However, it is very important to have a healthy wellbalanced diet to help protect your new kidney. When you go home, YOU become the most important member of your transplant team. Depending on how well your new kidney is working you may need to continue to restrict certain foods for a short time. Your dietitian, or medical team, will let you know if this is necessary. It is important that you try to eat well during this period to help your wound heal. If you are finding it difficult to finish your meals inform the ward staff or the dietitian. medications can increase your blood pressure, cholesterol and blood sugar levels. These medications can also weaken your bones so you need to have a good intake of calcium and vitamin D.
A healthy diet is what the whole family should have. It means eating a wide variety of foods, in the correct amounts, to ensure good health and a healthy weight. Almost all of us eat too much salt. 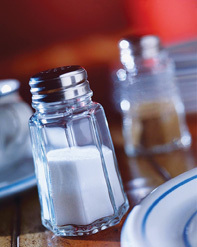 About 80% of the salt we eat comes from processed foods, fast food, and canteen and restaurant food. About 10- 15% is added at home and only 5% occurs naturally in food. To reduce your salt intake, you need to use less salt in cooking and at the table, eat more fresh foods and less processed and ready-made foods. Avoid using salt substitutes, for example: Lo-Salt and So Low. sunflower oil if frying food. 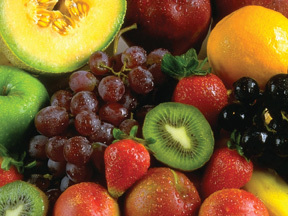 Fruit and vegetables are the perfect snack food. They are high in fibre, vitamins and minerals and low in fat. Aim to eat 4-5 potions of fruit and vegetables each day. Fresh, frozen, dried or tinned all count! Include a wide variety of fruit and vegetables. A small glass of fruit juice (unsweetened) can count as 1 portion each day. Choose fruit tinned in natural juice instead of syrup. Dried fruit contains a lot of sugar and should be consumed in small quantities. Avoid adding salt, butter, oils or rich sauces to vegetables. Grapefruit and grapefruit juice is best avoided if you are taking: Cyclosporin (Neoral/Sandimmum), Prograf (Tacrolimus) or cholesterol lowering drugs. High fibre breakfast cereals, for example: Branflakes, Weetabix, Shredded Wheat. Wholemeal, granary or wholegrain bread. 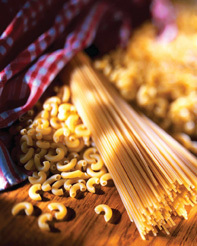 Brown rice and wholegrain pasta. Remember: when taking more fibre in your diet, it is important to drink more. Suitable fluids are water, sugar free squash, fruit juice, weak tea or coffee. Too much sugar can cause weight gain andincrease your triglyceride and blood sugar levels. Use artificial sweetener, for example: Canderel, Splenda or Hermesetas, instead of sugar. Have diet minerals, sugar-free squashes or cordials instead of regular drinks. Limit cakes, biscuits, puddings, sweets and chocolate. 1⁄3 pint / 200 ml of low fat or Super milk. 1 carton of low fat or diet yoghurt. 1 oz / 25 g of cheddar/hard cheese. ½ tin of salmon or sardines (with soft bones). Foods rich in vitamin D include: oily fish like salmon, herring, mackerel, sardines and trout. Eggs, and fortified foods such as milk, margarines and breakfast cereals. Alcohol is high in calories and sugar. 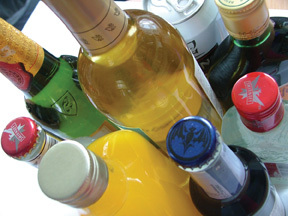 Excessive alcohol can lead to weight gain and increased triglyceride levels. Have 2 -3 alcohol free days each week. Use sugar free mixers, e.g., slimline tonic or diet minerals. your treatment requires immunosuppressant tablets. Wash hands thoroughly before preparing food, after going to the toilet or after handling pets. Prepare and store raw and cooked food separately. Cook food well. Follow the instructions on the pack. If you reheat food do make sure it is piping hot. Check 'use by' dates and use within the recommended period. Avoid food containing uncooked egg and store eggs in the fridge. Avoid unpasteurised milk or dairy products e.g., soft ripened cheeses like brie or Camembert. You should also avoid paté. Avoid smoked meats, fish and sushi. Eat three main meals each day. Eat 4-5 portions of fruit or vegetables. Take 3-4 portions of dairy each day. Eat more fibre rich foods. Limit sugary foods and sweetened drinks. Aim to include 2-3 portions of oily fish each week. Avoid salty, processed foods and adding salt to food. Include exercise as part of your daily routine.